WVHS News: WVHS Month at DIY Workbench! WVHS Month at DIY Workbench! 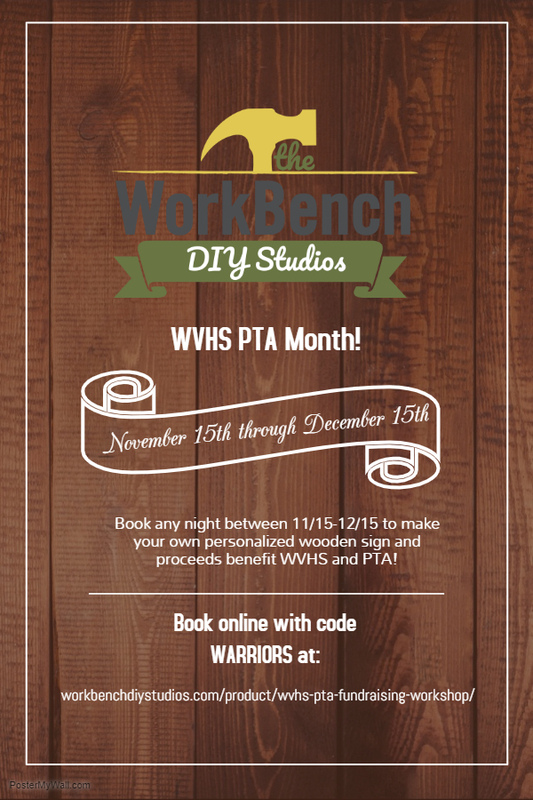 Create your own personalized sign at DIY Workbench between 11/15 - 12/15 and part of the proceeds go back to WV and PTA! Book your session online at https://workbenchdiystudios.com/ with the code "Warriors". The signs are the perfect gift or decoration for the holidays! Be sure to check them out online!